I always look forward to spring with the Snowdrops, Crocus and Hellebores, but especially the Corydalis. Corydalis solida is a beautiful plant which has the advantage of being easy to grow. C. Solida is a European native found in the wild from Scandinavia to the Balkans. It was named by Swede Carl Linnaeus in 1753, as Fumaria bulbosa v solida, but it and other corydalis have since been divided off by taxonomists. 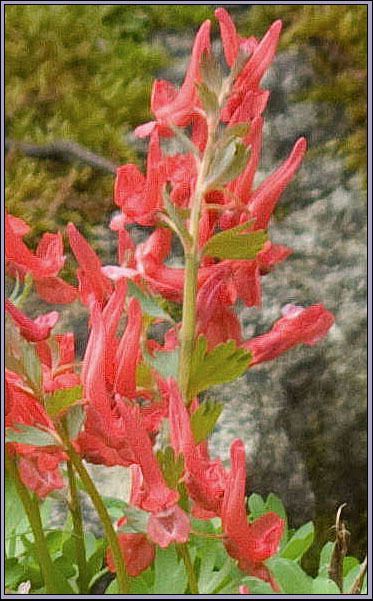 The Genus Corydalis is in the Poppy family and related to Fumitories. There are 4 sub-species under C. solida, and many varieties in different countries. C. solida is synonymous with C. bulbosa and C. halleri and is also known as Spring Fumewort, Spring Corydalis and, in Sweden, Nun’s Herb (it was grown in monasteries). The name is from Greek korydalís, Crested Lark, referring to the shape of the flower. 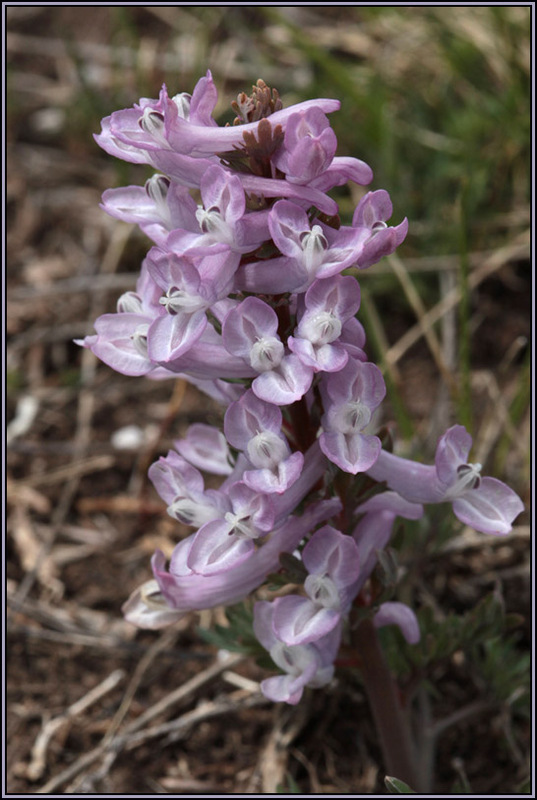 Corydalis solida is tuberous and prefers slightly acid or neutral soil. Some of mine happily grow with azaleas. As long as the soil is reasonably well-drained they are happy in a border, rock garden or scree. Mine will self-seed in a scree bed. Planting tubers is best done in summer while the plants are dormant and 10cm deep should be sufficient. Make sure the tubers are quite fat (solida = solid-rooted) for good results. In pot culture, in September, after root growth has begun they should on no account be allowed to dry out and a weak feed will help. In open ground a mulch of leaf-mould will retain moisture. After flowering, watering is important to swell the tubers for the next year. The tubers are bone-hardy and frost will not harm them. Only drying out is harmful. Pots kept over summer should be shaded from the sun and kept just moist. Seeds should be sown immediately when ripe (or even slightly green) as seed that has dried will often fail to germinate. Slugs and mice can be a problem as can fungal diseases but I have been lucky so far. There are many garden hybrids to choose from although C. solida “George Baker” is the most popular probably because it is so good and readily available. Self-sown are likely to be purplish as the hybrids do not come true from seed. There are white varieties available too. As this is a lovely and easy plant it is hardly surprising that it is to be found in so many alpine enthusiasts’ gardens; in pots, troughs, screes, rock gardens and borders. If you haven’t got it - why not?